Douglas Carswell’s movement to UKIP has shocked us all. He seemed to have declared loyalty to Cameron after his Bloomberg speech and appeared to have been appeased by the prospect of an in/out referendum following the next general election. Given a Tory majority is necessary for this, you must wonder what he hoped to achieve by joining UKIP. Even if the UK is to remain in the EU, surely a man like Carswell must see a Tory majority as better than a Miliband government set upon rent controls and tax increases. Carswell’s move to UKIP is a poor choice for two reasons, firstly UKIP is no principled libertarian party, and secondly its method of campaigning to leave the EU is destined to fail should a referendum fail. Until recently we seemed to all know what UKIP was, didn’t we? They emerged out of the vacuum following Cameron’s movement into the centre, offering a libertarian Eurosceptic voice in British politics with socially conservative aspects such as its stand on gay marriage. They wanted to escape from EU regulation and presumably shrink the state domestically. Nigel Farage in an interview with Paxman before the last election promised billions of cuts per year, with increases in spending on the army. It seemed to come out of Milton Friedman’s idea that the state should provide what the market cannot, such as the armed forces. They were ‘keeping the flame of Thatcherism alive’. Then it changed. They denounced their 2010 referendum as bonkers and emerged as a fresh version of the Liberal Democrats, not only lacking in principles of liberty but in fact devoid of any principles at all. This followed UKIP taking votes in Old Labour constituencies, beginning with their impressive performance at a South Shields by-election. They took votes where there were not enough ex-Tories to render their vote a Tory protest one. After their victory in the European Elections they have adopted principles that no believer in liberty could ever adopt. The first of these is zero hours contracts, which UKIP have pledged to ban. Zero hour contracts are not ideal, but they give a chance to people who have been out of the jobs market for some time, or people who need flexibility. They make it less of a risk for an employer to take someone on, thereby increasing the chances of someone to return to the labour market after some time away. 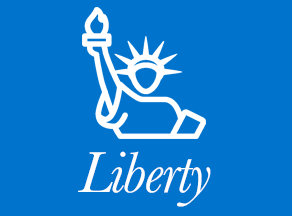 A liberty believing party would say though they are not ideal for some people, it is not for the state to interfere in the terms of employment agreed between two people. They would say restriction on the terms of employment will lead to less employment overall; there is no fixed pie. This case is particularly evident when job figures are hitting record highs. Secondly there was the Pfizer and Astrazeneca argument, where UKIP said the problem was the European Union. The principle of liberty argues that the state is poor at predicting winners, so the market should be allowed to decide. Believers in liberty abhor any notion of protectionism, say government is a referee and the nation state is only a place where certain rules apply: government is not an active player. Moreover it would have pointed out job losses may occur, but they occur all over an economy and more jobs are created via creative destruction. UKIP is effectively the new Liberal Democrat Party, with a small borrowing from Blair. With their ‘beyond left and right’ rhetoric one cannot help but recall the ever so vacuous ‘third way’. Something either favours state intervention or the free market, it cannot do both. Then there is the reminder of the Liberal Democrats. In the north of England, in the old Labour seats, UKIP plays to the left advocating protectionist policies and complaining about the bedroom tax. In the south it talks about the need to protect the City from Brussels regulation and the need for flatter taxes. Strangely enough whilst doing this the Liberal Democrats had a few principles: non-intervention (like UKIP) and a dedication to the EU (there is a similarity, even if it is the opposite). Everything else is negotiable. If people in the Conservative party like Carswell, Redwood and Hannan led the out camp on the grounds of prosperity it could be won. If it is led on a UKIP platform where immigration is the principle concern opponents will portray advocates of Brexit as little Englanders and xenophobes, and it will lose. This is the true tragedy of Carswell’s decision.